Chocolate mousse! 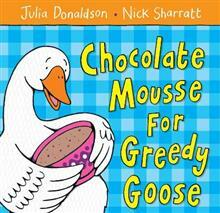 , says greedy Goose. Don't just grab it, says angry Rabbit. Good manners aren't on the menu at this meal. Duck won't eat his carrots. Moth's eating the cloth, and Sheep would rather sleep than wash the dishes. Thank goodness some of the animals know how to behav... read full description below. Chocolate mousse! 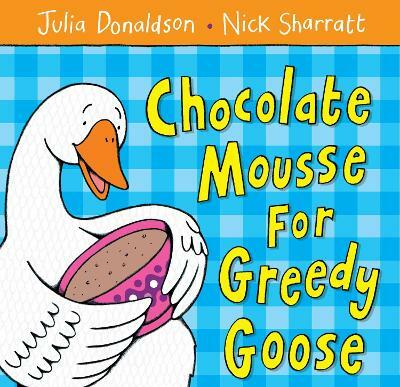 , says greedy Goose. Don't just grab it, says angry Rabbit. Good manners aren't on the menu at this meal. Duck won't eat his carrots. Moth's eating the cloth, and Sheep would rather sleep than wash the dishes. Thank goodness some of the animals know how to behave!